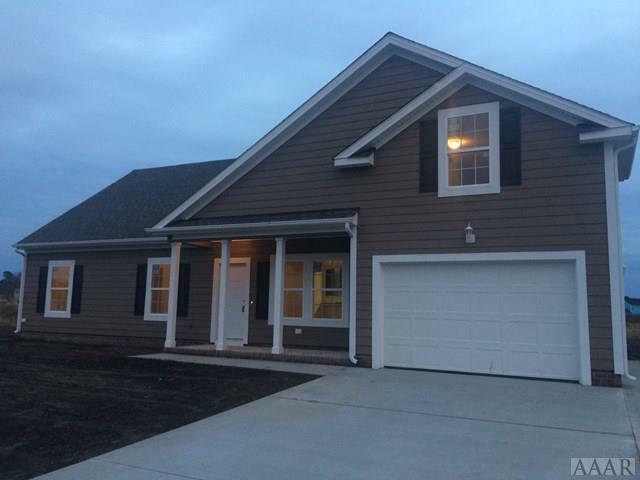 New Construction Fargo II is a 3 bed, 2ba ranch style home w/FROG. It features a spacious floor plan w/lots of functionality.The kitchen features stained birch cabinets and granite countertop. The huge master bedroom has a walk-in closet and bath with double bowl marble vanity, LVT tile in kitchen, baths, and foyer. The FROG is perfect for a game room, office,or playroom.Exterior features 12x14 Patio, 30 yr arch.shingles & cement fiber board, seamless gutters. Sod in front yard & backyard is fully seeded. 2-10 warranty. 105 Rosedale Court, Moyock, NC 27958 is a 3 bedroom, 2 bath single family home was sold for $257,204 by Kim Old in the Currituck real estate office.